State of the Leaf: Is Ohio’s MMJ Law Unconstitutional? The Anchorage Assembly just approved the city’s first legal commercial cannabis growing operation, a significant milestone for the emerging industry. The local license and special-use permit was awarded to Justine Roland, owner of Dream Green Farms in Anchorage’s Mountain View neighborhood. A second license is under consideration for Arctic Herbery owner Bryant Thorp. The commercial growing operations will be licensed to sell cannabis to other cultivators or to retail shops but not to individual consumers. Cultivation licenses have been awarded to 20 companies across Alaska so far, and applications for the first retail cannabis shops will come under review in September. Florida celebrated the opening of its first limited medical marijuana dispensary at a strip mall in Tallahassee this week. Trulieve is licensed to sell limited cannabis products from partner Hackney Nursery to the state’s extremely small pool of qualified patients. The products available in Florida are limited to concentrated oils, tinctures, gel capsules, and vape cartridges, all of which are required to be low in THC. The latest cannabis legislation, the Right to Try Act, which was passed in March, allows terminally ill patients to have access to high-THC cannabis, but it won’t take effect until August. Six organizations are licensed for distribution in Florida. A second dispensary, Sutrerra, in conjunction with Alpha Foliage, also just opened its doors in Tampa. 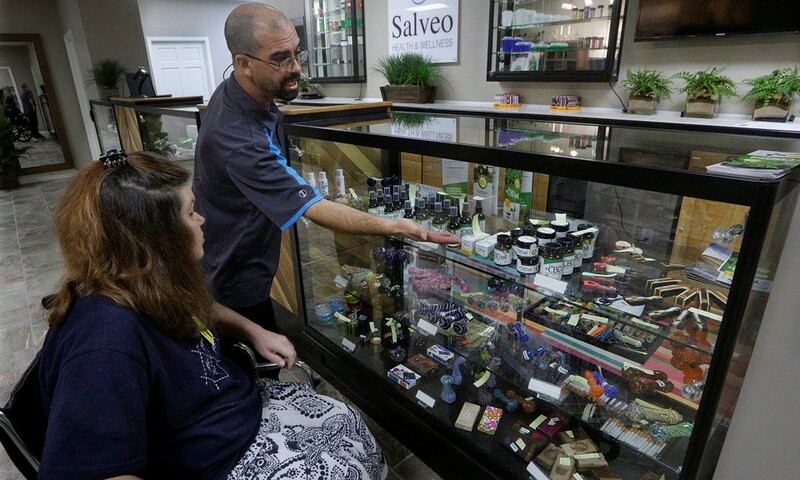 Restrictions on medical products are so limiting that Florida is not actually considered a legal medical marijuana state. At this point, only patients who suffer from cancer, chronic muscle spasms, and seizures may obtain legal access to low-THC cannabis products. A constitutional amendment for a medical marijuana program with more qualifying conditions, as well as access to high-THC cannabis, is on the ballot for November. Amendment 2 is remarkably similar to the measure that narrowly lost in 2014. Support for the measure this year, however, is through the roof, with the latest poll from United For Care showing 77 percent of likely voters in favor. Maryland state Delegate Dan K. Morhaim admitted he should have been more transparent regarding his personal interest in entering the medical marijuana industry. 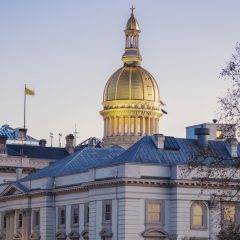 Morhaim was instrumental in passing MMJ legislation, which is why his involvement in the industry has raised concerns over a possible conflict of interest. 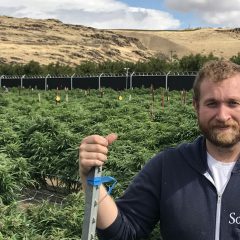 He is a clinical doctor for a new cannabis company called Doctors Orders, a move he says he cleared with state ethics officials. However he dodged questions from reporters about his involvement in the industry that he himself helped create. The Maryland Medical Cannabis Commission may award cannabis licenses to cultivate and dispense cannabis as early as Aug. 5. 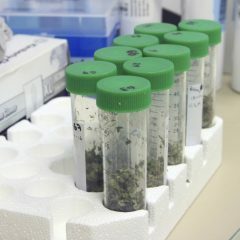 The Ohio Legislature is under scrutiny after it came to light that the medical marijuana law that was passed in June contains provisions that may violate the U.S. Constitution. Under House Bill 523, at least 15 percent of all medical marijuana licenses must go to businesses owned by economically disadvantaged minority groups – black, Hispanic, Asian, or Native American. Minority set-asides were declared unconstitutional by the U.S. Supreme Court in 1989 in the City of Richmond case, which found them illegal under the 14th Amendment’s Equal Protection Clause. When state Sen. Bill Seitz informed the Ohio Legislature of the Constitutional issue, legislators ignored the concern and passed the bill anyway. Seitz had drafted an amendment that would have made the provision a goal, rather than a requirement, but it was never introduced. As a result, a corrective bill will likely be introduced in a lame duck session this coming spring. The Oregon Department of Agriculture ordered 14 horticultural products pulled from the market after it was revealed that they contained pesticides not listed on the label. The agency also issued a warning that cannabis cultivators may “experience a loss of marketability” if they continue to use the products. Regulators warned that using the products, which are commonly used in hydroponic systems, could make their cannabis fail state-mandated tests. The Oregon Department of Agriculture is working with the Oregon Health Authority to determine the necessary next steps to address the incident as a violation of Oregon’s pesticide and fertilizer laws. Check your grow products, folks! German lawmakers are debating whether to widen the country’s relatively restrictive medical cannabis program to make medicine accessible to more patients. Currently cannabis is available only through Dutch imports and only to patients who’ve received an exemption from the national narcotics law. The discussion arose after a major court ruling that medical patients may grow their own cannabis at home. German Health Minister Hermann Gröhe has since introduced an alternative proposal that would establish a state cannabis agency for the cultivation, production, and sale of cannabis in pharmacies. The German health care system would require health insurers cover most of the cost of cannabis for medical patients. To obtain legal medical cannabis, Germany requires patients to exhaust all other medical options and apply through an arduous, nine-month-long process. As a result, the country currently only has 647 registered patients receiving medical marijuana. The Italian Parliament holds its first floor debate on cannabis this week. Lawmakers may try to expand the existing medical cannabis program, which is extremely limited. A separate proposed measure would allow the cultivation, sale, and consumption of cannabis by adults for recreational use. The Italian anti-Mafia police unit has come out in favor of full legalization, arguing that legalization would undercut a major revenue stream for the Mafia, much in the way legalization in the United States has undermined Mexican drug cartels. Italy currently allows doctors to prescribe cannabis, but few feel comfortable doing so. Parliamentary votes for both medical and recreational marijuana legalization will be scheduled for later in the fall.